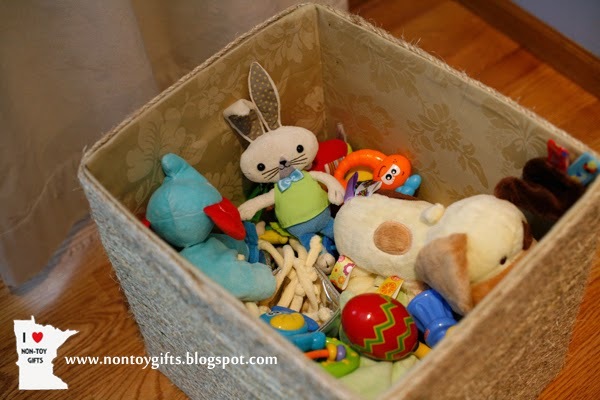 I made this toy storage box about a year ago when toys were still allowed on the main floor (now toys are to be found only in the basement or playroom upstairs). My youngest was a baby at the time and his baby toys were all over the place. I needed a nice storage to put them out of sight but, at the same time, have them at hand. Can you tell it’s made from a diaper box? Lined with fabric and covered in rope it looks stylish enough to make it the the family room. 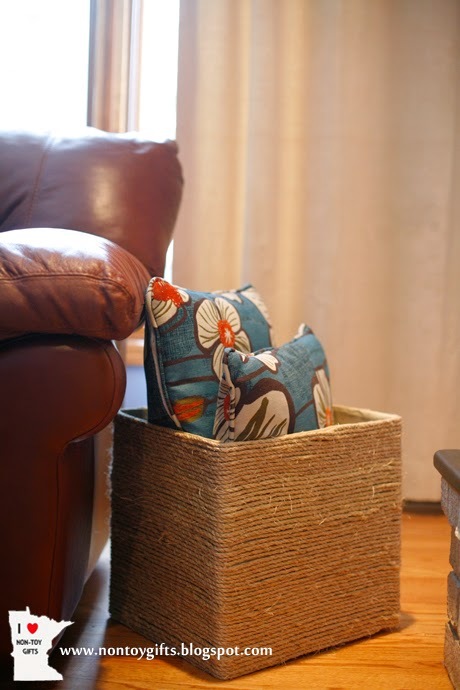 Rope covered boxes are pretty expensive but you can easily make one yourself and save money. 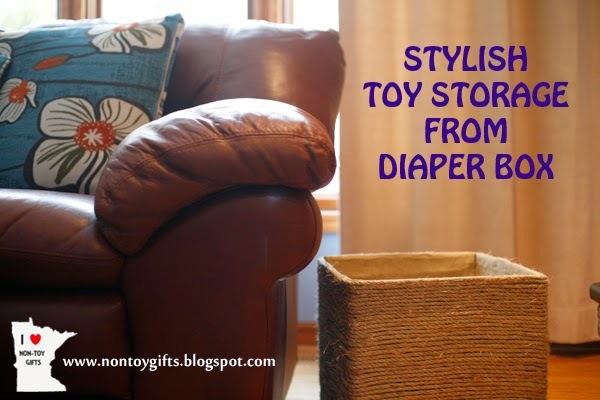 All you need is a diaper box, sisal rope (I got mine from Home Depot), hot glue + hot glue gun and some fabric for lining. You can use the box for any type of storage and it will look stylish anywhere you choose to place it.